The purpose of the study is to evaluate possible prognostic factors and optimal management for pediatric atypical teratoid/rhabdoid tumor (AT/RT) of the central nervous system (CNS). 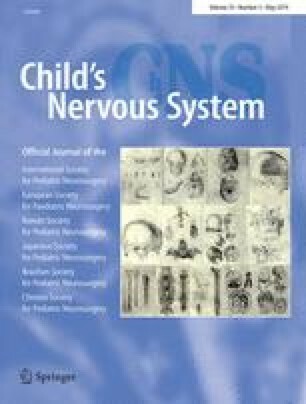 Twenty-eight pediatric patients with CNS AT/RT who were treated with radiation therapy (RT) as part of multimodality treatment regimens at a single institution (1996–2015) were reviewed. Survival outcomes were analyzed in relation to possible prognostic factors. The 28 patients analyzed were followed up for a median 48-month period. Median progression-free survival (PFS) was 11 months, and overall survival (OS) was 57 months. Patients < 3 years old had RT delayed for a longer period after surgery (p = 0.04), and the mean RT dose to tumor bed was lower (p < 0.01) than in patients ≥ 3 years old. In multivariate analysis, a higher primary tumor bed RT dose was identified as a favorable prognostic factor for both PFS (hazard ratio [HR] = 0.85 per gray, p < 0.01) and OS (HR = 0.92 per gray, p = 0.02). In addition, an interval between surgery and RT initiation > 2 months, with disease progression observed before RT, as compared with an interval ≤ 2 months without disease progression prior to RT, was associated with worse PFS (HR = 8.50, p < 0.01) and OS (HR = 5.27, p < 0.01). Early and aggressive RT after surgery is critical for successful disease control in AT/RT patients. Conversely, a delay in RT until disease progression is observed that leads to unfavorable outcomes. The online version of this article ( https://doi.org/10.1007/s00381-019-04126-y) contains supplementary material, which is available to authorized users. We would like to thank Taipei Veterans General Hospital pediatric CNS tumor group for assistance in this study. No funding was received for this study. The study was conducted in accordance with the Declaration of Helsinki. The data of this study was extracted from database of pediatric brain tumors in Taipei Veterans General Hospital, and the study protocol was approved by the Institutional Review Board of the Taipei Veterans General Hospital. The IRB number is 97-07-05A. Informed consent to this study was obtained from the parents of all participants.